Mourning Cockade for Francis Brownell. Mourning cockades were a public expression of grief. They were almost always black, but occasionally the also included white, gold, red or patriotic colors. Black has historically been the color of mourning for centuries. In Victorian times, a widow in full mourning would wear all black clothing if she was financially able to do so. Black is always appropriate for a mourning cockade. White was introduced in clothing in the "half mourning" stage. White and silver were also used by the church in funerals. Thus, black and white is also an appropriate color combo for mourning cockades. Gold was occasionally used by the church in funerals and we see it on some rare mourning cockades. Gold spangles or gold stars are appropriate, especially for adding a patriotic touch. 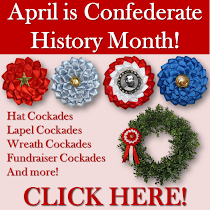 Red is also found in Victorian mourning cockades. Red in church liturgy was often considered symbolic of the blood of martyrs. Patriotic colors were occasionally used on mourning cockades. 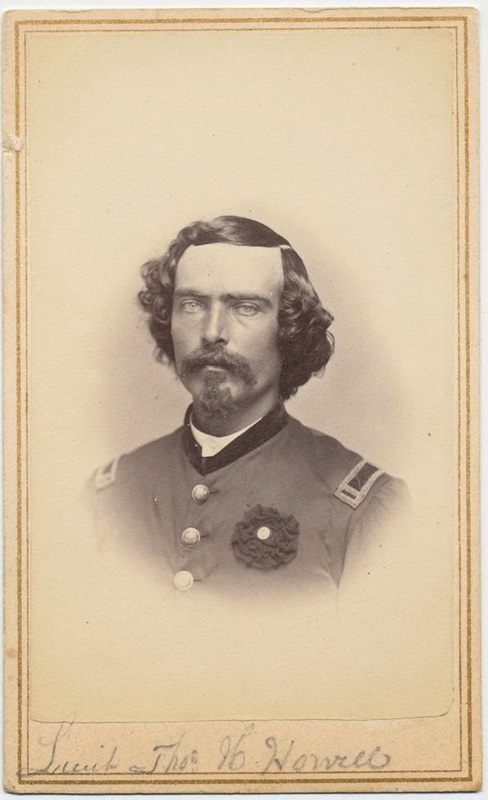 If the deceased was a military person, or a public figure (such as President Lincoln), black would be combined with red, white and blue on the mourning cockade. 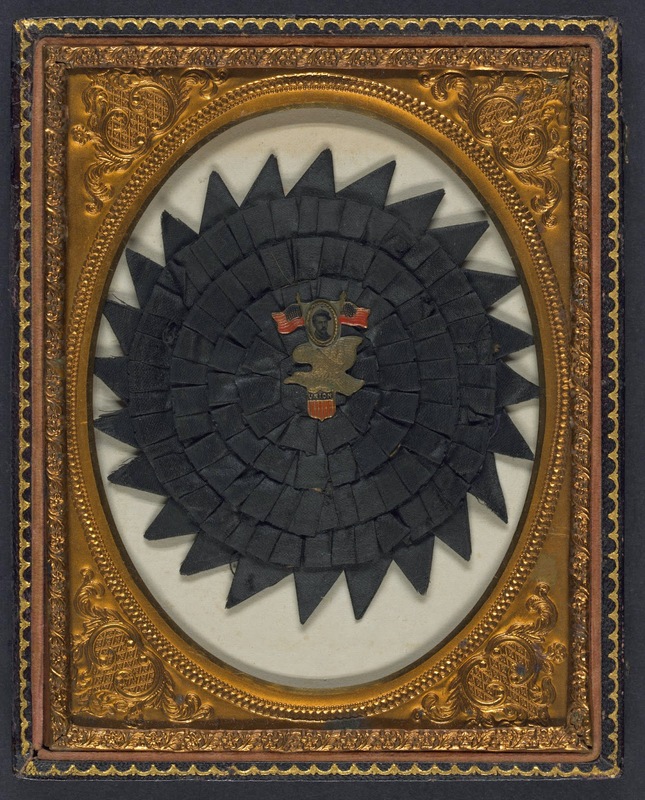 Mourning cockades could have plain black centers, or decorated centers. Generic cockades for dignitaries in a funeral procession were often plain or simply had a spangled center. If the cockade was for a specific deceased person however, it typically included the person's photo or name. Ladies, gentlemen and children all wore mourning cockades. 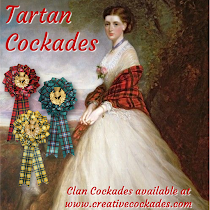 They could be worn as a brooch on the chest or as an armband. Ladies and gentlemen wore them both ways. 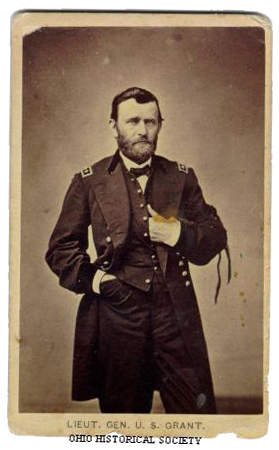 If military gentlemen wore the cockade officially, regulation put it on the left sleeve. 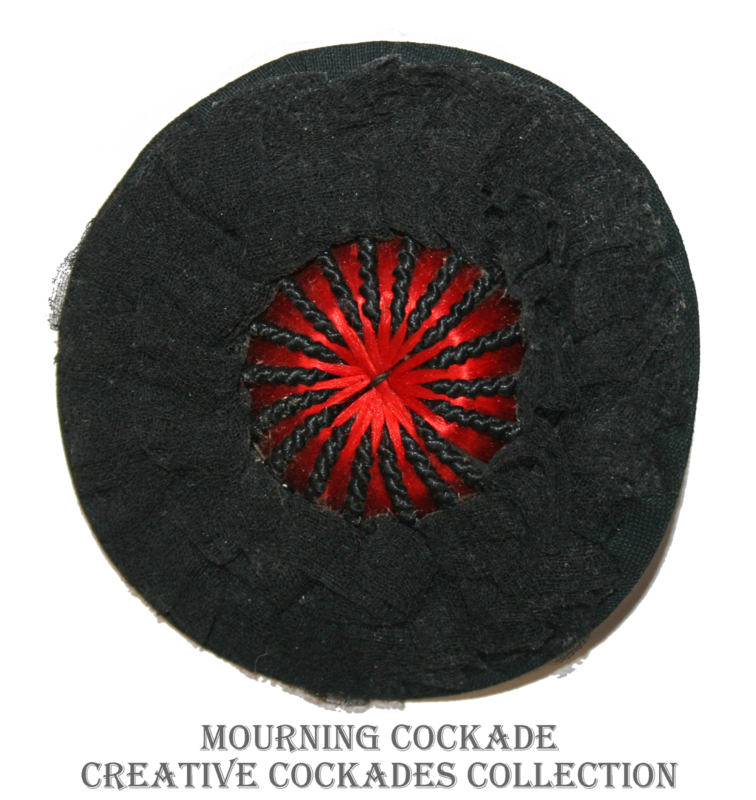 If you're looking for a Mourning cockade for yourself or a friend, check out the mourning cockades in my shop. I have carefully documented and handcrafted each cockade. Let me know if you have a custom order or need a gift message and I'll be happy to work with you! My email is creativecockades@gmail.com. 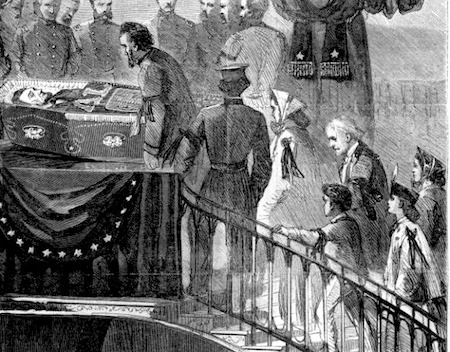 This picture shows people in mourning, processing by Lincoln's funeral casket. 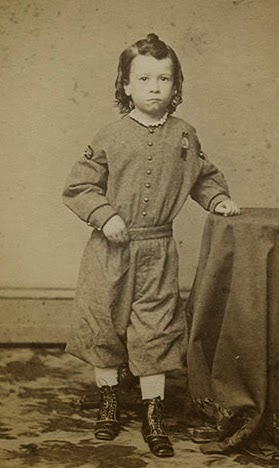 Notice that everyone pictured has a cockade or armband on their left sleeve, even the children.